So you’ve decided to make the trek to Sydney. Well, you’ve come at a great time – it’s starting to heat up over here on the east coast, and Sydney’s beaches boast some of the world’s most sought-after Summer destinations. Naturally, you’ll also need to scout out some of your favourite watering holes – it’s only natural for you to hydrate with a delicious alcoholic beverage given that the rising humidity will unknowingly leave you in oceans of sweat after a day of exploring. 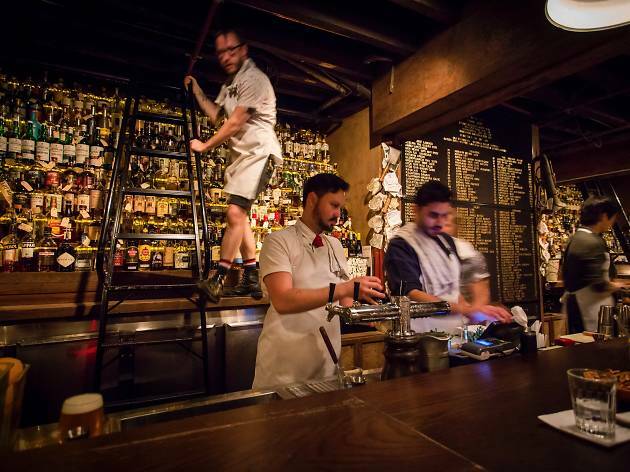 Although Sydney’s sister rival, Melbourne, boasts some of the greatest nightlife spots in the country, don’t be deterred by the absurd lock-out laws that seemingly define the Sydney CBD and its surrounding burrows – Sydney bars still have a lot to offer. There are some eclectic gems that deserve to be explored, with each one offering a unique experience. So, let’s dive into some of the most exciting bars you should check out around Sydney this summer. Saddle up, friends, and prepare to go on a journey of insightful exploration. Reow. 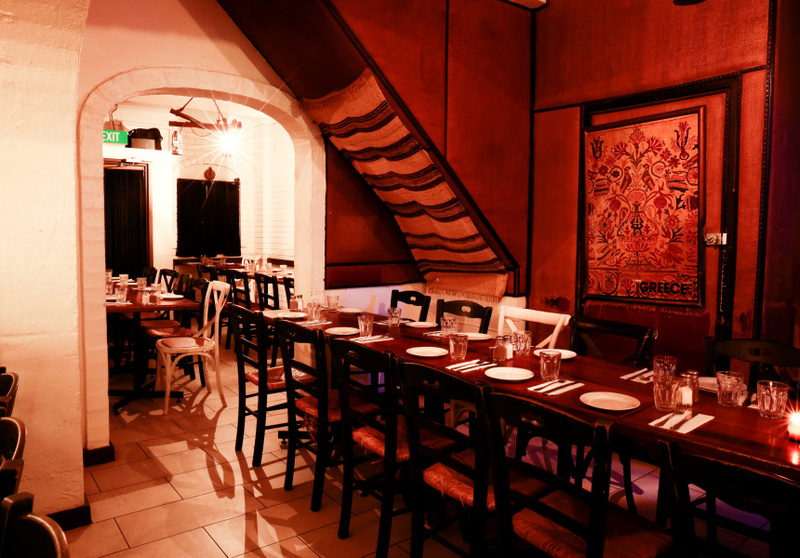 Frankie’s holds a loving place in the hearts of every Sydney-sider. It’s part dive bar, part pizza parlour, part rock’n’roll, all with a real New York vibe throughout. Don’t except fancy drinks – it’s mostly craft beers, ciders and pizza on offer. This dimly-lit bar is often home to a wide variety of gigs as well, and it’s open until 4am. Take THAT Melbourne! One of the greatest hidden gems in Newtown, Steki’s is a Greek bar and restaurant that will instantly teleport you to Greece. The owners are ridiculously kind, and it’s not uncommon for shots to be passed around. It’s definitely a place you should go to for pre-drinks and a light meal before you hit the town. Opa! This will be one of the hardest places for you to find but, once you find it, one of the more rewarding places. Baxter’s is an underground, dimly-lit, intimate whisky bar boasting over 300 whiskies to pick from. - Find 156 Clarence St. It will lead you to a tunnel walkway. - Go through the tunnel. It will open up into a courtyard with quite a few bars. - Don’t get distracted by these bars. - Look to your right and, in the right corner, there’ll be an unassuming door and potentially a bouncer. Walk up to that bouncer. He’ll let you in. It’ll be worth it – trust me. The Courthouse – or the Courty, as it’s lovingly referred to by the locals – is arguably the heart of Newtown. 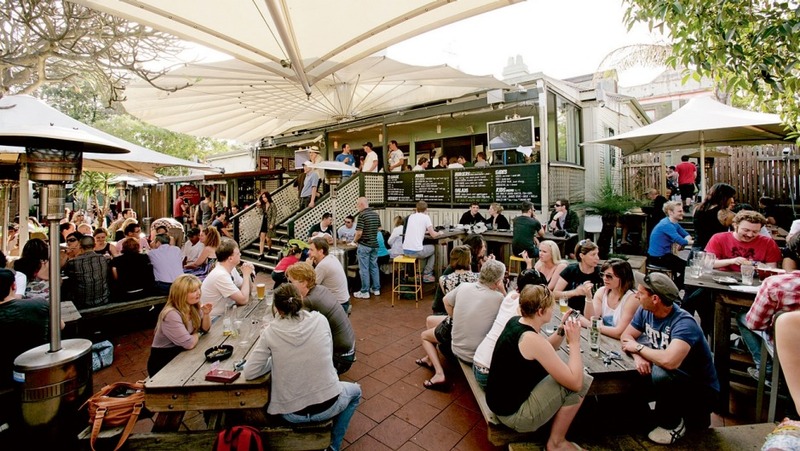 It’s definitely more of a chilled-out vibe – the perfect destination for a quiet arvo beverage amongst a sea of dogs and pretty people. It can get quite busy but, if you secure one of the many prime outdoor locations, you’ll be able to put your feet up and chill out for the rest of daylight. 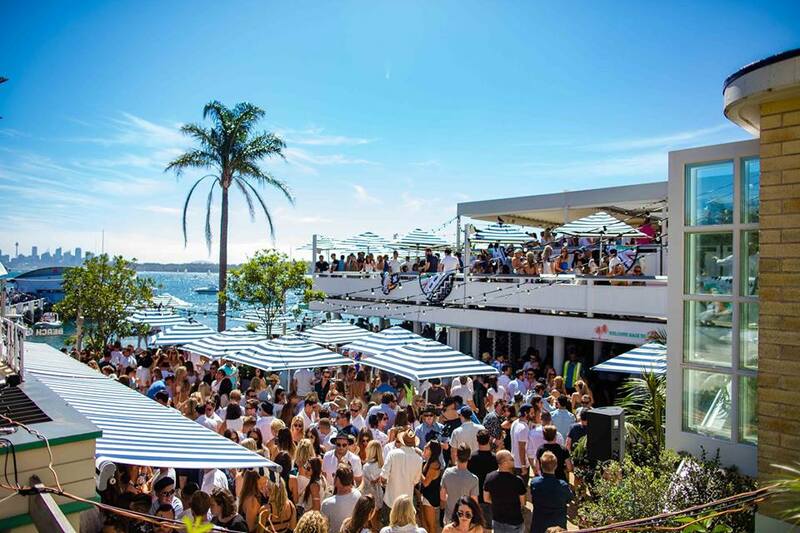 Watsons Bay Boutique, situated right on the beachfront of Watsons Bay, is boujee as hell. You’ll find yourself surrounded by crisp white shirts, polos and boat shoes. If you can afford the cocktails, they’re pretty delicious, but it would definitely require a “treat yourself” pep talk. After all, who wouldn’t enjoy getting drunk by the beach while wearing your nicest fashions? Not me. Anyway, Watsons Bay Boutique is great on a Sunday, when everyone attempts to erase the hungover – and regret – from the night before. I couldn’t create a list of iconic Sydney bars without mentioning Stonewall, could I? Stonewall, named after arguably one of the most important NYC bars in the Gay liberation movement, has become Sydney’s go-to bar for LGBTQ folk and their allies. Everyone is welcome and, if you’re ready for glitter, colour, incredible drag and a seriously impressive dancefloor, you should definitely pop into Stonewall. ﻿Corridor is cool, dark and subdued. Hidden amongst the noise of King St, you might even miss it. It’s laid-back and sophisticated, with a slim walkway upstairs to a tiny rooftop bar. If your vibe is sitting amongst some dark walls sipping some bourbon on the rocks, this bad boy is for you. Poor Tom’s Gin Bar is pretty special. 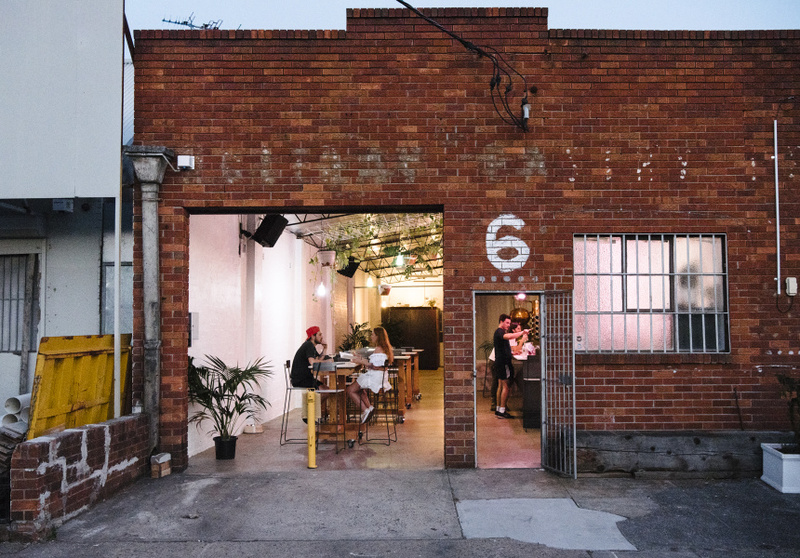 It’s situated within a heavily-industrial, warehouse part of Marrickville. It’s a relatively understated shed - the interiors themselves are heavily industrial and chic. It’s only open between Friday to Sunday, and it reaches capacity quite quickly, so if you’re going on either of these days, chances are you should get down there rather early to secure a spot for your mates. Once inside, though, you’ll be treated to some unbelievable varieties of Gin. Happy sippin’ kids, and don’t forget to add your own thoughts about these venues into Trafari’s app!